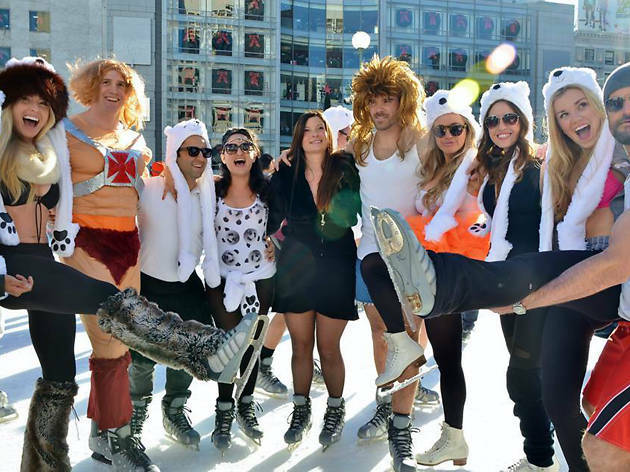 Check out this cheeky twist on the Canadian new year tradition, as scantily-clad revellers take to the ice for the 5th Annual Polar Bear Skate. Break out your swimsuit and forgo an icy plunge in favor of showing off your circle eights and finest dance moves. Polar bear hats will be given to the first 100 participants and the craziest polar bear attire will be awarded for style-slash-bravery.